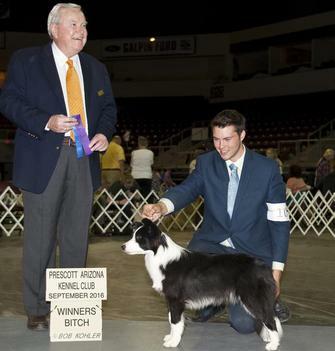 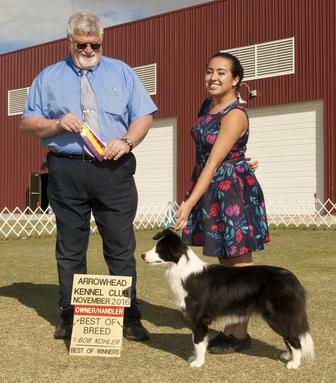 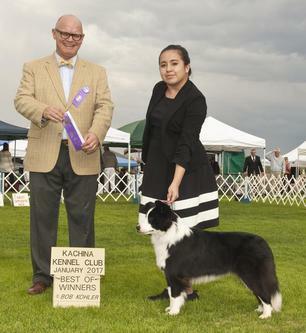 Gypsy (Border Collie) won WB/BOW/BOS for her first major from the 9-12 class under Pat Hastings! 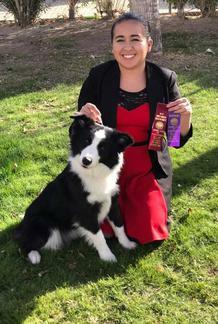 This was her second weekend out! 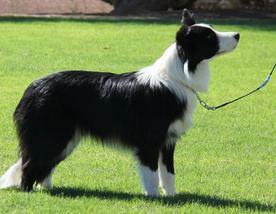 Gypsy Won WB/BOW/BOB under Steven D Gladstone from the 9-12 month class over very nice specials. 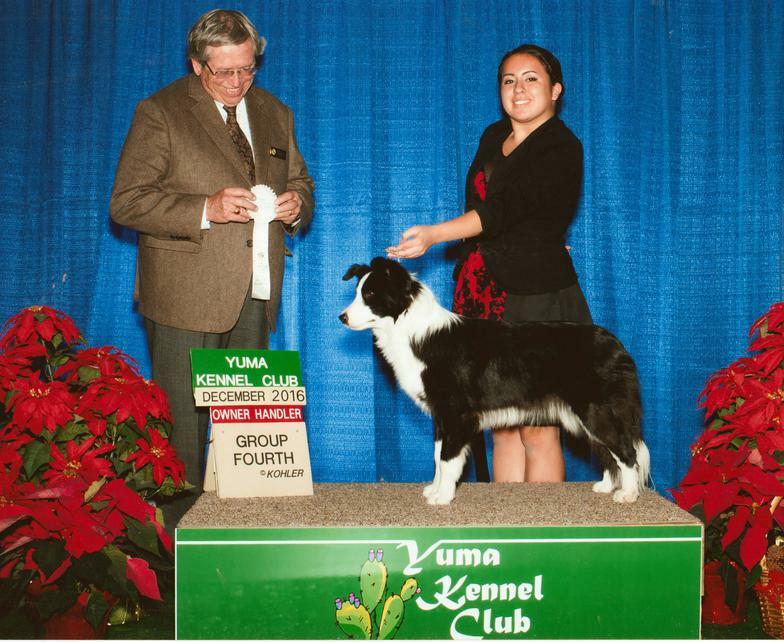 Gypsy won WB/BOW under judge Thomas Coen to earn her CHAMPIONSHIP at 14 months old!!! 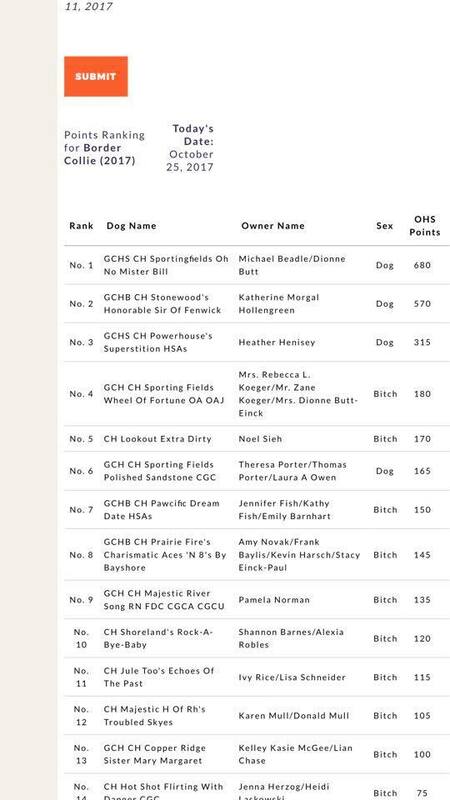 Gypsy won BOS and BOB/Owner Handler under judge Fred C Bassett! 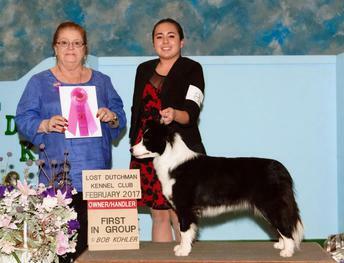 Gypsy won Group 1 Owner Handler under judge Denise Arlynne Ross! 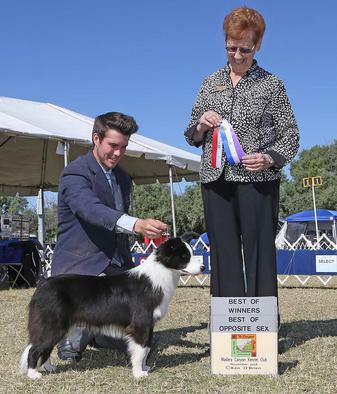 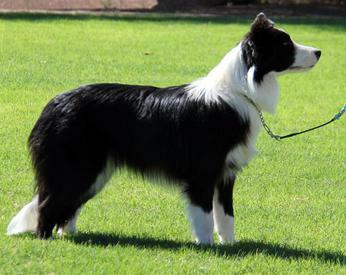 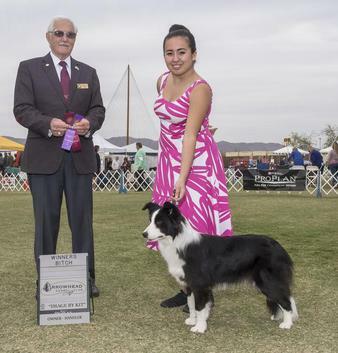 Gypsy won Select for a 5 point major towards her Grand with 41 Border Collies entered. 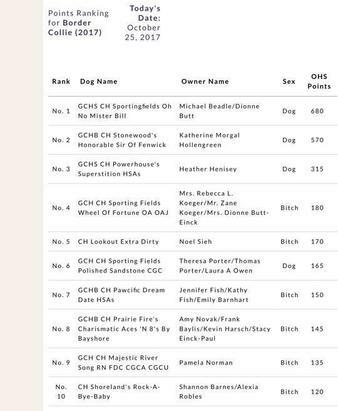 Gypsy also won Select for another 5 point major the next day towards her Grand. 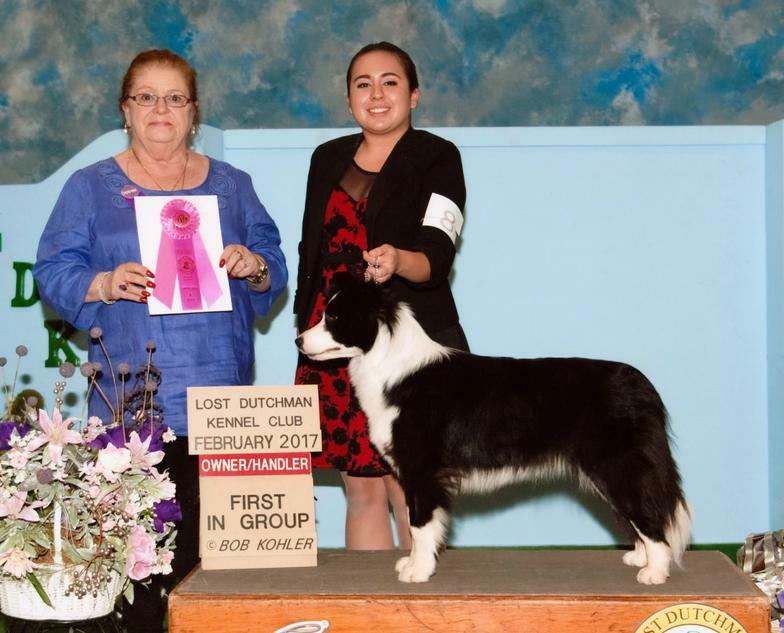 2017 # 10 Owner Handler Border Collie!